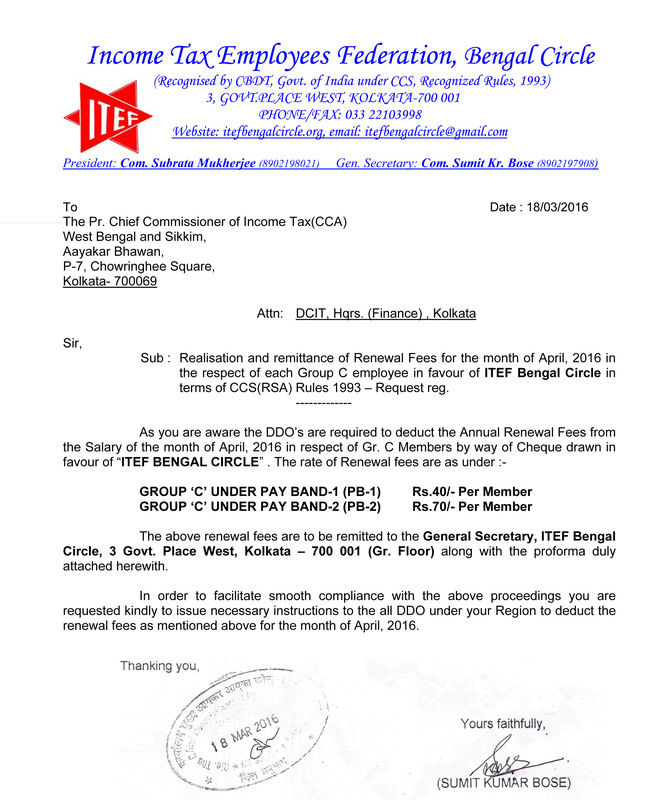 Renewal Fees for April,2018 of ITEF. Application for Data Entry Skill Test,2016.. Notification for Stenography Skill Test for Candidates selected in Relaxed Standard. Exam Notification for ITO and ITI ship,2016. NOTICE FOR 10TH BIENNIAL CIRCLE DELEGATE CONFERENCE. OS PROMOTION O.N.249 Dt. 26.03.2019. 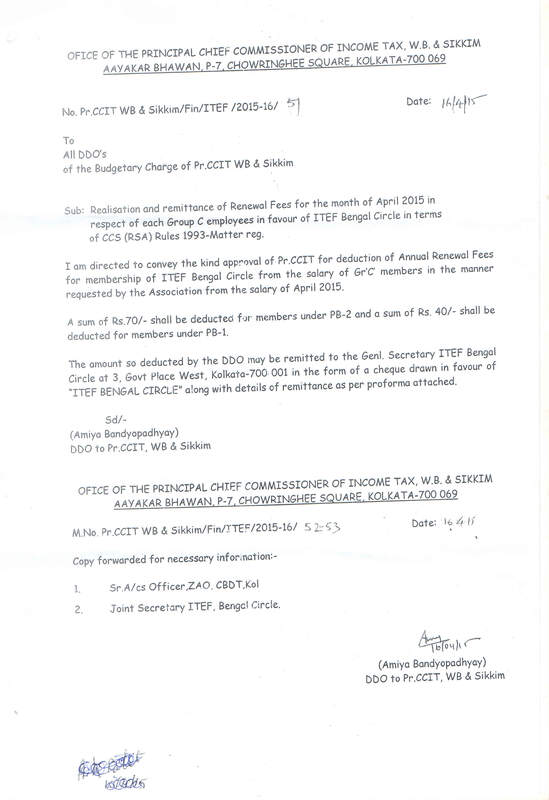 ITI Promotion O.N.242 Dated 12.03.2019. TA Promotion order No.235 Dated 01.03.2019. ITI Promotion O.N.233 Dated 27.02.2019. Copyright © 2013 ITEF Bengal Circle. All rights reserved. Site Developed and Maintained by : Sirshendu Ghosh.